The internal document was a site report from Attawapiskat Chief Theresa Spence’s camp which was set up during her liquids-only fast on Victoria Island in the Ottawa River within sight of Parliament Hill and the Supreme Court of Canada. 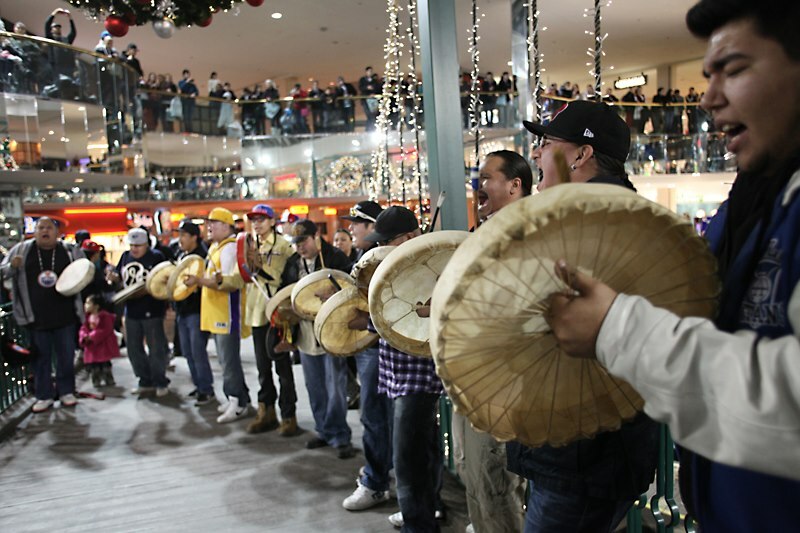 The camp became a hub of activity during the height of the Idle No More movement between December 2012 and January 2013. The site report was written by RCMP Cpl. Wayne Russett, the Aboriginal liaison for the national capital region, and sent to Insp. Mike LeSage, the acting director general for National Aboriginal Policing. LeSage passed it on to Carrie Ann McPherson, a senior analyst with the RCMP’s Operations Intelligence Analysis Section. 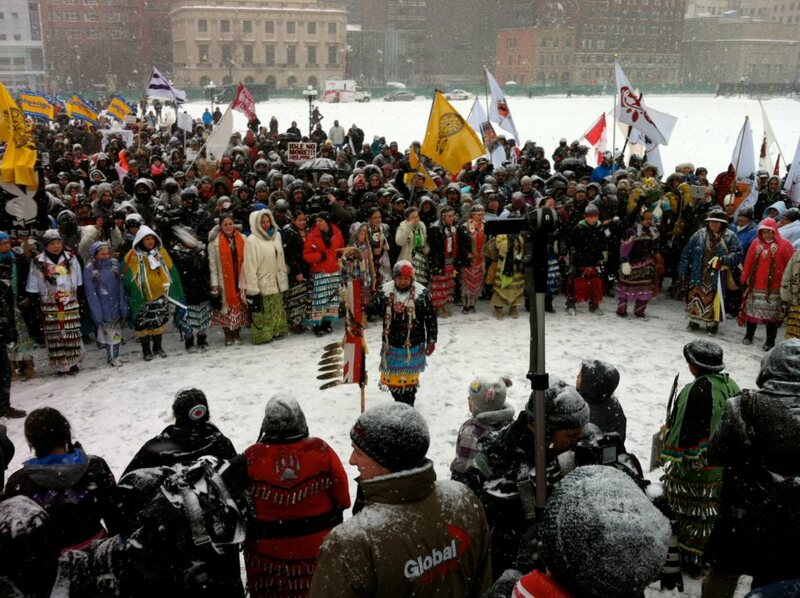 Women jingle dress at INM rally in Ottawa, Jan 28, 2013. The document said the campaign planned to target pipelines, the Alberta tar sands, natural gas, fisheries and mines. Things took a turn in the province after the Mi’kmaq took the lead in protests against shale gas exploration. The first flare up came on June 21 that year, Aboriginal Day, when the RCMP arrested about 12 people during a tense demonstration. Posted on May 9, 2015, in Uncategorized and tagged #IdleNoMore, Idle No More, National Aboriginal Policing, RCMP, surveillance. Bookmark the permalink. Leave a comment.